DMAZ Corporation offers fingerprinting services for applicants applying for their concealed carry license in the State of Illinois. Our technicians can capture your prints using DMAZ’s unique live scan technology at our fingerprint site and will provide onsite fingerprint services for groups of 4 or more, saving the customer travel time and expense. Be sure to retain the fingerprint receipt you receive from the fingerprint technician. It will contain the Transaction Control Number (TCN) that is needed when you complete the ISP online concealed carry application. There are two photos that are a part of the licensing process. One photo is noted in the application procedures and is a head and shoulder electronic photograph taken within the last 30 days to be submitted by the applicant. 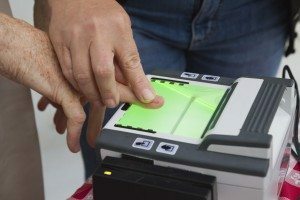 There is a second photo that is required to be taken for all types of licensing fingerprints taken within the State of Illinois including nurses, teachers, security guards, etc. This photo is the responsibility of the livescan fingerprint vendor to take and it must be taken at the time of fingerprinting. It is a digital image that is saved and attached with the fingerprint images and transmitted to the Illinois State Police Bureau of Identification. This second photo requirement is pursuant to a statute that was passed several years ago and just coincidently becomes effective Jan 1, 2014.